True sectional sofas from Bernhardt Interiors are like works of art. They enhance any room, immediately creating a sense of luxury. Bernhardt makes its furniture beautiful and comfortable, inspired by artistic passion and unique materials. You’ll enjoy a style that’s distinctly modern, yet a look that says “timeless.” Buying Bernhardt seating is a surefire way to get more enjoyment out of any living space, and to add effortless sophistication to your home. Browse our selection of all Bernhardt sectionals now! The Bernhardt Furniture Company offers a wide array of high-fashion furniture, with over 500 models of hand-finished furniture pieces right here in the USA. The eclectic groups range from traditional classics and modern marvels to transitional styles with a twist and dash of each. All models are offered in an exceptional array of upholsteries, including hand-picked designer fabrics and 100% top-grain leather hides. We offer an amazing collection of exceptional sleeper sofas and sectionals that will look at home in any interior space. 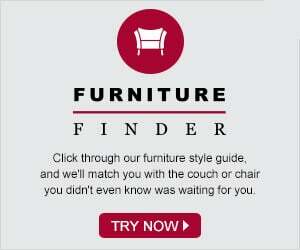 Need furniture for a smaller interior space? We offer a wide selection of beautiful Bernhardt chairs and loveseats that will instantly improve the look of any room. Browse the entire collection below and then take your new favorite to our custom Design Center, where you can tailor the piece to all your particular needs and wants in order make a Bernhardt Interiors item truly yours. A Bernhardt sectional sofa, fabric or leather, is a wonderful choice to upgrade a room. It will steal the show, drawing attention in all the right ways. The Bernhardt leather sectionals are stunning, with soft and shining leather made with 100 percent top-grain hide. Sit back and relax onto down-blend cushions that come with most of these sectionals, in any pattern you want. Customize your body and pillow styles, choosing from plenty of beautiful colors for your supple leather. Your Bernhardt leather sectional will match any décor. Bernhardt sectional leather sofa not on your list? Bernhardt Interiors also creates comfortable and sophisticated fabric true sectionals. Enjoy plush cushions and soft, high-quality fabric. Customize your couch and pillows with dozens of colors and patterns, mixing and matching for a look that’s truly yours. Caring for your Bernhardt sectional sofa is easy, no matter which material you choose – especially with the automatic lifetime warranty on the frame. Whether the gorgeous Bernhardt Van Gogh Sectional in deep brown leather caught your eye, or you prefer microfiber and cotton blends with the Kirkland or Hollis true sectionals, we know your selection will exceed expectations. Bernhardt Interiors has been creating furniture since 1889 – more than a century ago! Despite starting its interior line just a decade ago, Bernhardt has already won numerous awards for its sensational collection. Get a Bernhardt piece in your home for a discounted price at Savvy Home.